Hello again...welcome back to the last day of our JustRite Stamps Blog Hop. Hope you enjoyed the inspiration this week. We have been showing off our newest background stamps and today is no different. Since my design team mates have been creating so many amazing 3D projects, I challenged myself to create one as well. I decided to make this little bag with mini cards that fit inside and this whole little bag could be a sweet gift for someone for Easter, but I let you decide about that. For my project I used two background stamps. 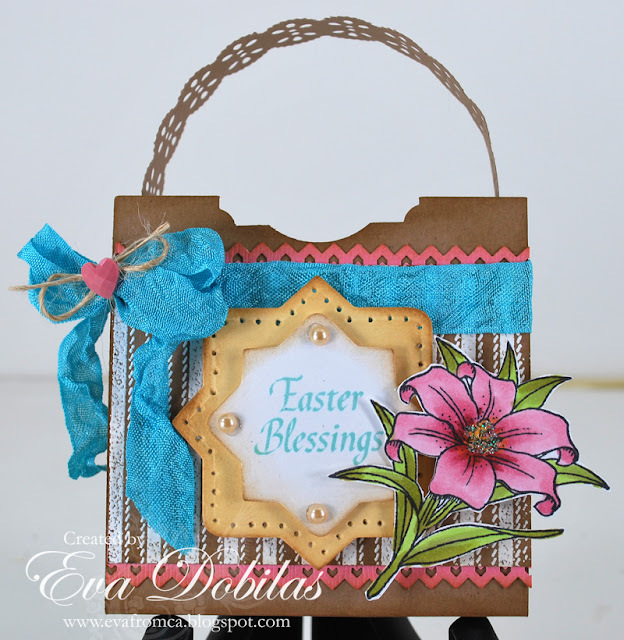 For the bag I white embossed with the Ticking Stripe background stamp and decorate the bag I used Easter Blessings clear stamp set. And if you would like to recreate this little bag, you can get instructions for it at Splitcoaststampers Resource Center under 3"x3" Notecard Tote. I also used Spellbinders Nested Medallion Labels Dies for my sentiment on the bag. 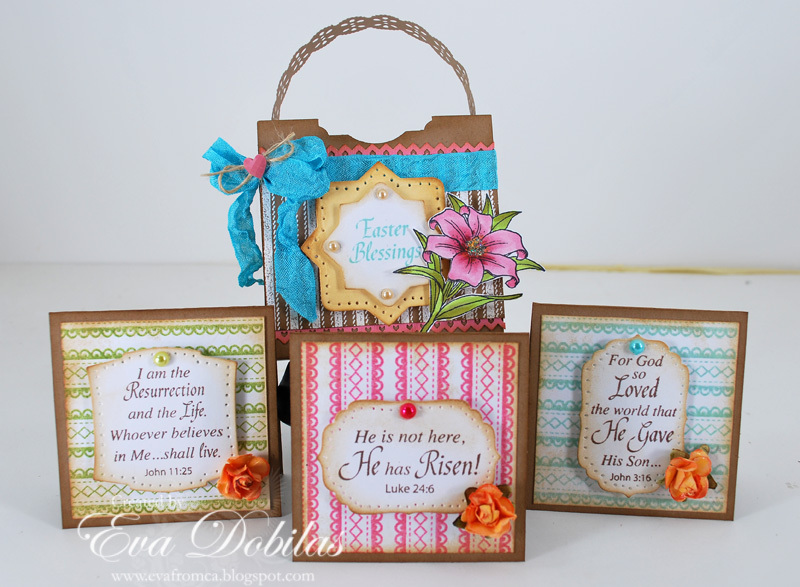 For my mini cards I used yet another background stamp called Stitched Ribbon background stamp and the sentiments came from the Easter Blessings set. Cute, aren't they??? And now it's time to check out what the rest of our team did. Here is the list of the ladies who are participating in today's hop.